Digitization is not a passing phase: it is the evolution of industry. To succeed, Roland Berger CEO Charles-Edouard Bouée believes companies require a new kind of leadership and strategy. Digitization is not a passing phase: it is the evolution of industry. Some 20 years ago, when I graduated from Harvard Business School, mobile phones were just starting to make their way into the mainstream, and companies such as Yahoo and Aol were only emerging. Few of us imagined then that digitization would significantly sweep through and transform as many industries to the extent that it has. Digitization has brought about a myriad of growth opportunities as well as unprecedented challenges. For example, the way we think of competition has been significantly shaken up by digitization. It has changed the playing field in many sectors, including banking, energy, telecommunications, media and consumer goods. More importantly, it has redefined the boundaries between partners and competitors. Old rivals for the same customers may find themselves examining mutually profitable convergence. At the same time, digitization has lowered the barriers to entry, making it easier for newcomers to compete, oftentimes more aggressively and nimbly. Digitization has also changed the habits of consumers, many of whom now turn to the internet or to mobile devices to scrutinize performance, quality and price. Armed with information, they are not likely to be swayed by brand recall and logos, nor will they stay loyal to one retailer or provider. At the same time, this information transparency is putting pressure on consumer-facing businesses to offer competitive pricing and seamless interactions. "A key pillar of Light Footprint management is innovation, primarily technophilia and cybernomics." Embracing the growth imperative of digitization requires a new kind of leadership and strategy. Most companies must either swim or risk sinking, as the wave of digitization is fundamentally altering the way we do business. Companies fail because their products are out of date, their core competencies have become obsolete or new technologies have altered processes. Essentially, though, I have seen many companies suffer because their leaders rest on their laurels and because they lack the courage – and sometimes the creativity – to change swiftly and thoroughly; and because they are unable to break free from outmoded ways of thinking. In a nutshell: They fail to recognize and master change. As a result of digitization, events occur more rapidly, trends may come up and stop suddenly, and causes and effects are harder to identify. This leads to more uncertainty and complexity in the business environment. At the same time, as a CEO, I find that one of the more exciting facets of digitization is the rising prominence of big data. Many companies now have access to immense volumes of metadata – and, equally important, formidable analytical and computing abilities – that should help shape strategies. 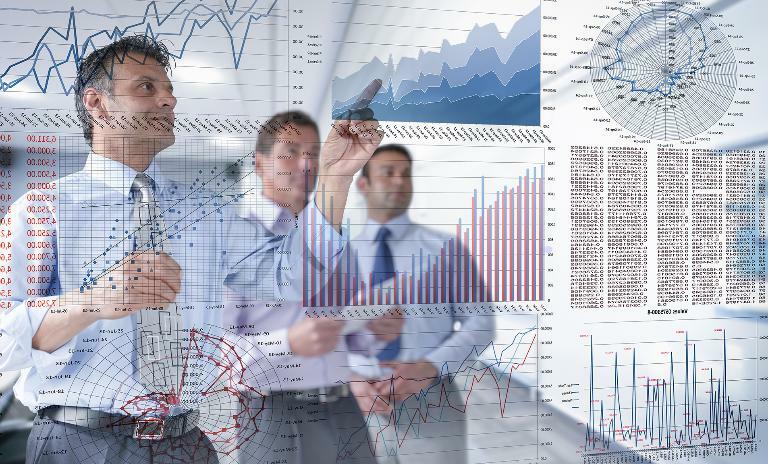 Leaders should leverage big data to enhance business efficiency. Big data may appear daunting and, in some cases, will demand that companies change, but I believe those that realize its potential, with a data-centric mindset and infrastructure, have what it takes to get ahead. We are seeing the emergence of new titles such as Chief Digital Officer. 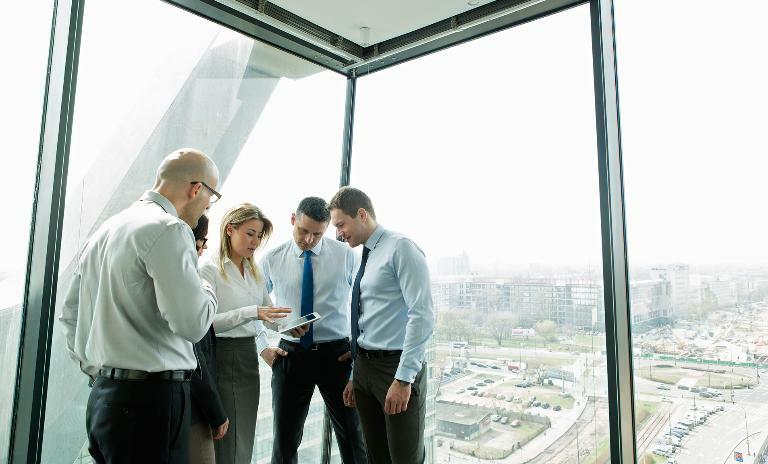 The task of embracing digital transformation is the responsibility of the CEO, who is in the best position to identify how digitization affects the disparate parts of an organization. Leaders should be well versed in the digital agenda and be able to bring together the heads of departments to collaborate on a joint strategy. They should skillfully navigate the traditional tensions between those managing the core and the digital businesses. They should be able to make decisions on the right investments in IT infrastructure and talent. But a CEO need not go about this alone. We are seeing the emergence of new titles such as Chief Digital Officer, who helps to oversee the cross-functional digital transition. This job often stems from the Chief Technology Officer role, which has been in place among many companies for some years now. Whether it’s about developing a digital platform to improve the interface with customers, building 3D-printing ecosystems that accelerate the time between innovation and market launch, encouraging massive open online courses and other forms of e-learning or harnessing the vast computing power in the cloud as a lever for entrepreneurship, companies must hasten the pace of their digital transition. Leaders should be able to identify the phases of the transformation needed and to manage the amount of change required in each step by which players within the firm. The most important advice could very well be about timing: Act soon. Act now. Finally, recognizing and mastering change brought about by digitization is unquestionably among the most essential tasks of top management. Even in the era of rapid digitization, new strategic impulses, new tools and new processes are still less important than leaders whose behavior and values convey a clear direction and sufficient understanding of the new prevailing dynamics. In this time of uncertainty, digitization and Light Footprint management go hand in hand. A key pillar of Light Footprint management is innovation, in particular technophilia and cybernomics. It is marked by the rise of robotics and drones in the delivery of customized service. It is characterized by increasing awareness of protecting oneself against cyber threats. Leaders must instill a sense of security in the team with their confidence and purpose in spite of imperfect information. These leaders have not forgotten the art of critical reflection and can assess the reliability of strategic tools, and are thus willing to adjust midcourse if the environment demands it. 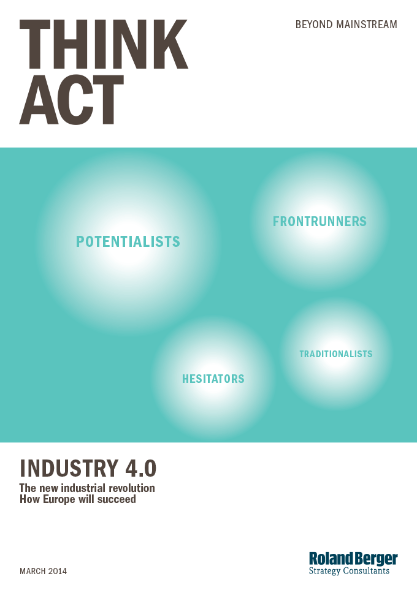 Industry 4.0 represents a huge opportunity for Europe, but like all revolutions, it will be fast and disruptive.